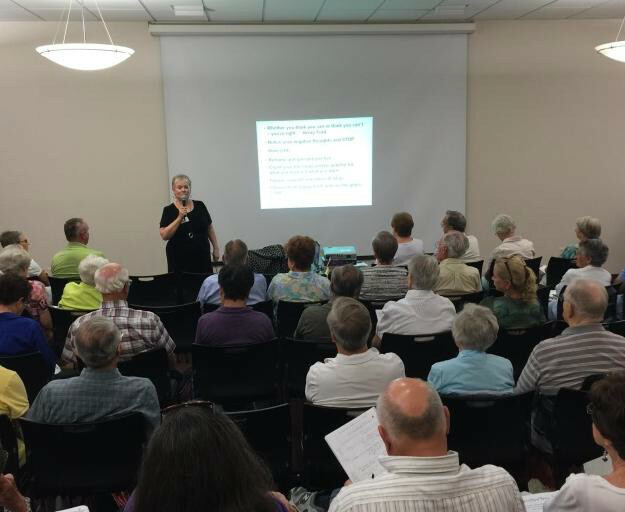 ST. GEORGE — Memory Matters is offering residents of Southern Utah and southern Nevada a 10-week course designed to benefit those with an early stage memory loss or dementia diagnosis and their care partners. The “Early Stage Memory Loss Series” begins Sept. 18 at The Falls Event Center in St. George. Recognized professionals will provide the tools and resources necessary for participants and caregivers to face the challenges of a memory loss illness. Classes will promote brain health and help participants plan for the future. The course is designed to aid the person with memory loss and their primary care partner with presentations on legal and financial preparation, pharmaceutical and alternative remedies, brain health and nutrition. During the second hour of the class, participants may attend either a cognitive training group or a care partner training and support group. Lundquist said that clients who are proactive in their health are usually the ones who sign up for the intervention. Symptoms of memory loss can be caused by reversible conditions. It is important to quickly see a doctor to rule out those conditions. If the diagnosis is an illness, such as Alzheimer’s disease, there are things that can be done in the early stages to help the person function better and longer. Proactive decisions can give voice to the person with memory loss in the future. It is important to face this life event early, the press release states, adding that denial during the early stages can cause a family to miss opportunities to improve the situation. Preregistration is required to attend the course, with a suggested donation of $25. Participants will meet each Tuesday from 10:30 a.m. to 12:30 p.m. starting Sept. 18 through Nov. 20 at The Falls Event Center, 170 S. Mall Drive. Register online at the Memory Matters website. Memory Matters can be contacted at its office at 168 N. 100 East, Suite 104, St George, by phone at 435-319-0407 or by email at [email protected]. The series is funded by the Alzheimer’s Foundation of America and co-sponsored by The Falls Event Center, Intermountain Community Foundation and Five County Area Agency on Aging. Memory Matters Utah/Nevada is 501(c)(3) nonprofit organization working to reduce isolation and improve wellness for individuals with dementia and their caregivers through activities, support, education and consultation. Learn more at the Memory Matters website. What: “Early Stage Memory Loss Series” 10-week course. When: Begins Sept. 18, 10:30 a.m. to 12:30 p.m., and runs subsequent Tuesdays through Nov 20. Where: The Falls Event Center, 170 S. Mall Drive, St. George. Cost: Suggested donation of $25. Preregistration is required and can be completed at the Memory Matters website.